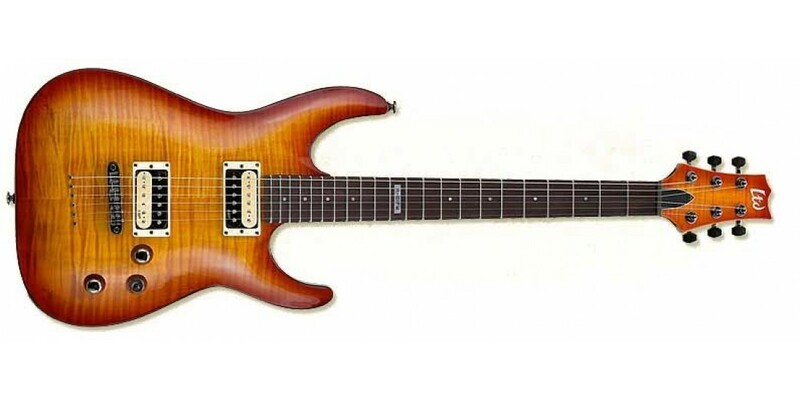 The ESP Ltd H101FM features a flamed maple top, finished in a stunning Amber Sunburst, with matching headstock. Two ESP LH-150 humbucking pickups provide plenty of edge, while the Thin U-Neck Contour allows for nimble fingerwork and lighting fast scale runs. 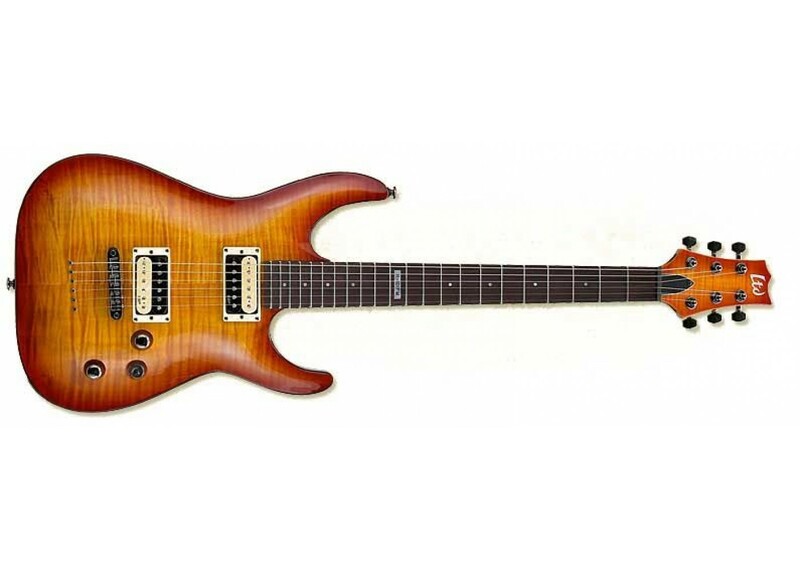 This isn't just a shredders guitar, though - the H101FM features a Tune-O-Matic bridge and genuine ESP tuners, both of which contribute to a rock-solid feel perfect for any style of music.